Swimming pools are expensive. And even worse, cool weather restricts you to only a few months’ of actual pool use throughout the year, right? Wrong. There’s a simple way to extend your swimming season from now on—and best of all, in an efficient and economical way. Say hello to solar pool heaters. Solar pool heaters are quite impressive. They increase water temperatures to save you from frigid swims, and they don’t cost a thing to operate. But before you consider one of these systems, you should know what to expect, as well as how they work. The mechanics of a solar pool heater are surprisingly simple. Chilly pool water travels through your existing pump, then a new set of pipes, and finally through the solar collectors installed on your roof, garage, or pool house—whichever is nearest to your pool with a southern roofline. The water is warmed in the hot collectors and drains back to your pool, slightly increasing the temperature. 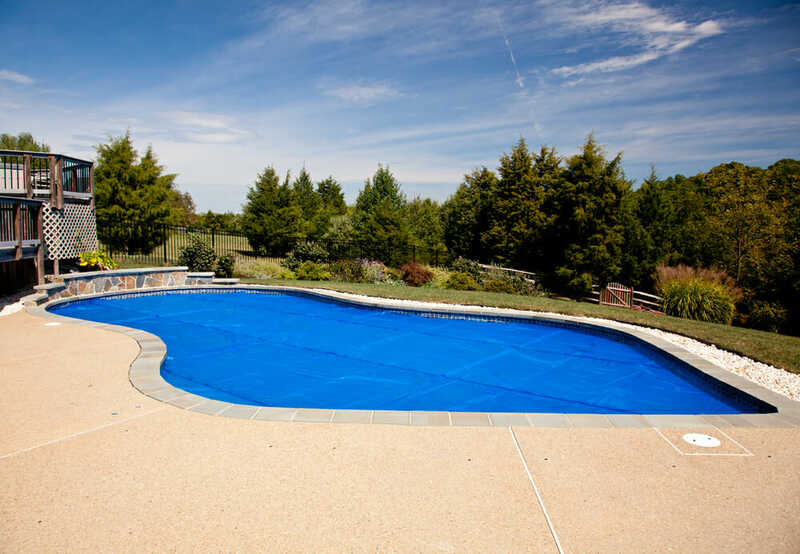 This process continues until your pool is warm enough to swim comfortably. There are a few different types of solar collectors, but they all pretty much work on the same principles—the same kind that a greenhouse uses. The collectors all have a glass portion that allows sunlight to permeate. Beneath the glass is the heat absorber—a black pad that absorbs heat from the sun, increasing until that internal temperature is very high. Copper pipes or coils further heat and return the warm water to the pool. Flat plate collectors are the more affordable option of the two, and are more popular for pool heating. They look similar to solar panels—usually large rectangular boxes with durable glass plates in front, and a series of copper tubes underneath that run from a large inlet pipe to a large outlet pipe. Beneath the tubes, a dark layer generates heat from sunlight, which is trapped by the thick layer of insulation underneath. The box is framed with durable metal, and the sides are insulated to trap heat as well. As sunlight permeates the front glass plate, it heats up that absorption layer. The panel heats up, pool water is sent in through all those tiny copper pipes, and it pulls away all the built-up heat to warm the pool water. An evacuated tube collector is a bit more complex than the flat plate collector, but the overriding concept is still the same. Here you have a large water storage tank with a series of evacuated tubes underneath. The tubes are lined with a black material to absorb and generate a great deal of heat, which is trapped in between that vacuum layer between the outer tube of glass and the inner tube. The tubes run into the bottom of the water tank, and all the heat generated in them rises to the top where a copper coil runs to each of the tubes and works its way throughout that water tank. There’s an inlet and an outlet port at either side of the horizontal water tank. When the sun hits those tubes and heats them, that heat is transferred into the coil within the tank and water is pumped up into the tank, heated up, and sent back down into the pool once again. Even though the collectors all rely on the same principles to heat pool water, they function differently and you need to know the differences between the two systems before choosing the right one for your needs. The plumbing of your solar water heater is really just a fancy loop that directs water to be heated. The loop is full of special valves to give you control over how the water flows through the system, but the overall concept is quite simple. When the sun is out, water will flow through the heaters. If there isn’t enough sun, or you don’t want the system heated, then water will travel through the filter, possibly your fuel heating system, before returning to the pool. 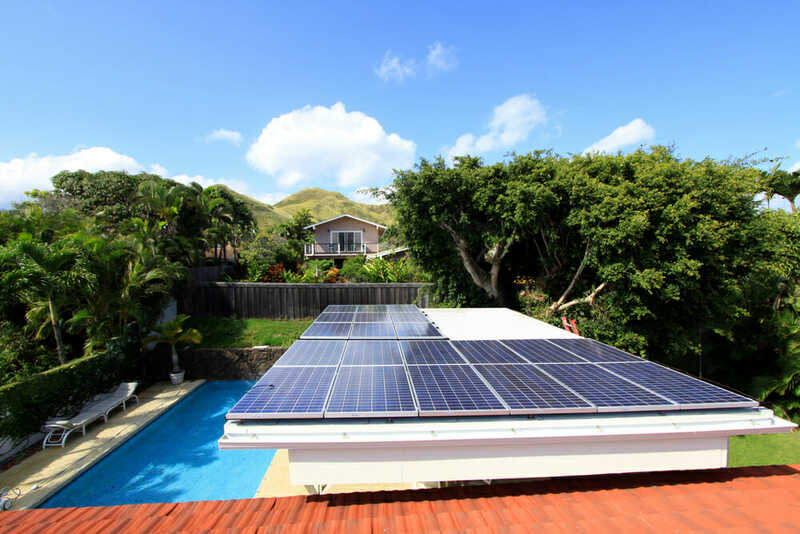 As long as you have a pump that’s large enough to adequately filter your pool, it should be more than powerful enough to drive water through a solar water heater as well. That’s why no additional motor is needed when you have a solar water heater installed for your pool. It’s important to consider runtime limitations and the overall output of your pump when choosing a system. A good professional can help you decide if you need to upgrade your pump, and how you can work with your existing pump to make your unit work out properly. The plumbing system is designed to maximize your solar collectors as much as possible. The lines will bring the water up from the lower end of the panels and the water will slowly work its way through the collectors until it reaches the upper portions of the panels and then back down into the pool. By slowing the water movement and forcing it to travel through more of the collector, heat transfer is maximized and temperatures are improved further. Many plumbing loops for pools are equipped with a check valve already—a one-way valve that keeps water from flowing back into the filter and down into your pool in the opposite direction. Still, it’s important to make sure that the plumbing for your solar water heater has a check valve if your original loop does not. The check valve is the valve is right after the filter and helps ensure that only clean water flows back into the pool and that the filter is only getting water in one direction. Every good plumbing system for a solar pool heater comes with a simple bypass, which allows you to skip over the solar heaters, regardless of the weather conditions. When you open the bypass, water will flow past your collector plumbing and cycle to your pool like normal. This is good for those hot days when your pool doesn’t need additional heating. Solar collectors need a good amount of sunlight to heat up. This is the time to ensure water is cycling through the collectors—otherwise, the water could lose heat in the process and cool your pool down. This is why the system has a motorized valve and a sun sensor. The sun sensor detects the amount of sunlight that’s shining down, and the motorized valve directs water into the collectors when there’s enough sun—and redirects it when there isn’t enough sun. This happens automatically so your system runs optimally. 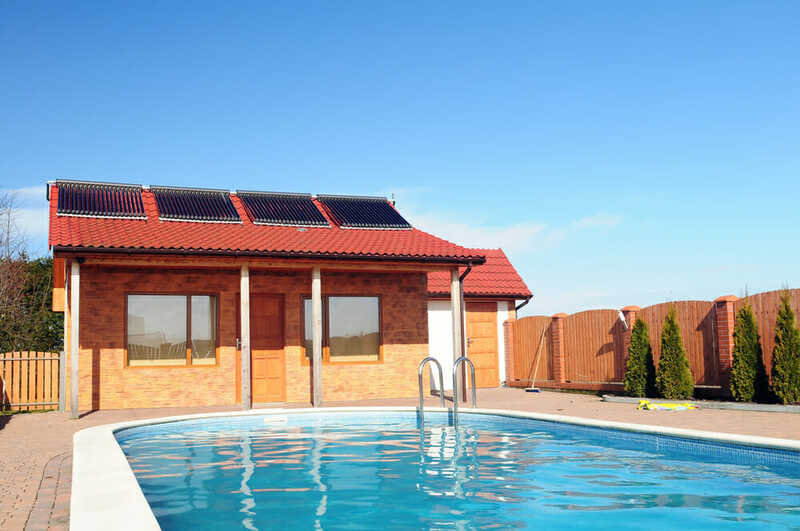 Solar collectors are a beneficial addition to any pool. By taking the time to fully understand how they work and which one best meets your needs, you’ll be enjoying the warm water longer than you ever could have imagined.